Kay Lynn was raised on a cattle ranch in the Sandhills of north central Nebraska. She graduated from Doane College in 1987 with a degree in social science and a teaching endorsement. After studying for a year at Christian Albrechts Universitat in Kiel, Germany, on a Fulbright scholarship, she attended the University of Texas Law School in Austin. She graduated with honors in 1991, then clerked for a year for Judge John T. Grant of the Nebraska Supreme Court. 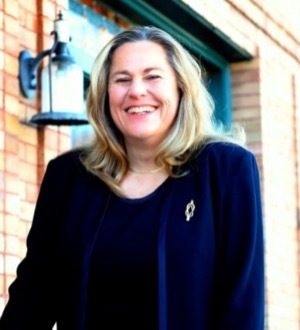 She moved to Cheyenne in 1992 to join the current firm, becoming a partner in 2001. She is admitted to practice before all Wyoming state courts, the United States District Court for the District of Wyoming and the Tenth Circuit Court of Appeals. Kay Lynn works primarily in the area of civil personal injury defense litigation, but also handles insurance coverage, professional malpractice, eminent domain, and civil rights matters. She is a Past Chair of the Wyoming Board of Law Examiners, and has served as President of United Way of Laramie County, the Defense Lawyers Association of Wyoming, and the Laramie County Bar Association. She is a member of the Wyoming State Bar, the Laramie County Bar Association, the Defense Research Institute, and the Ewing T. Kerr Chapter of the American Inns of Court. In her spare time, she enjoys traveling, riding horseback, reading, and spending time at the family ranch.